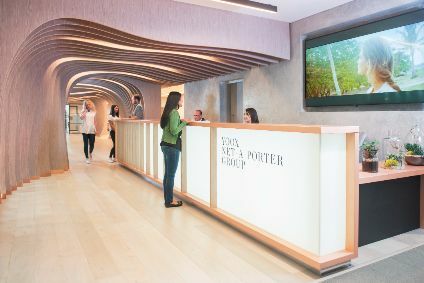 Luxury fashion e-commerce store Yoox Net-a-Porter (YNAP) has unveiled a new "state-of-the-art" UK technology hub as part of a EUR500m (US$640.7m) investment in technology and logistics to double the size of the business by 2020. Based in west London, the new Tech Hub is key to YNAP's growth strategy and has been built to accelerate innovation and deliver best-in-class technologies, further strengthening the group's partnerships with many of the world's leading luxury fashion brands and providing what it calls an "unparalleled" customer experience. The 70,000 sq ft space at White City Place will bring together YNAP's UK tech teams under one roof. Initially, 500 staff will be based at the facility, with a further 100 jobs created over the next two years. YNAP also has a 500-strong technology team in Bologna, Italy, that collaborates closely with London. Work at the Tech Hub will include developing Artificial Intelligence capabilities, such as personalisation and image recognition, and creating the next wave of mobile technologies, that will keep YNAP in the vanguard of digital innovation. "We are delighted to open our cutting-edge Tech Hub in west London, a space created to inspire and facilitate disruptive innovation," says YNAP CEO Federico Marchetti. "Artificial intelligence and new mobile enhancements to the customer experience will be the focus. Tech Hub will be home to our 500-strong UK tech team and gives us plenty of room to add new jobs." The first company to have a retail app on the iOS App store, YNAP prides itself as always being "at the forefront of mobile innovation", with mobile accounting for around 50% of the company's sales. Now, the business says its ambition is to move from mobile-first to mobile-only. In line with this, all global office-based staff have received an iPhone equipped with a suite of new iOS apps designed in collaboration with Apple and IBM. The company adds it is "rapidly" developing bespoke applications for staff, boosting productivity and allowing them to work flexibly across devices to enhance the customer experience. Personal shoppers are the first to benefit, with applications such as access to inventory information on-the-go and the ability to take card payments from customers via mobile. YNAP has been experimenting with Artificial Intelligence (AI) since 2015. AI has the potential to transform areas like natural language search, image recognition and styling recommendations to offer an increasingly personalised service to the customer, it says. The business is currently testing a number of AI innovations, including virtual personal styling, a system that learns what type of clothes combine well and can cross-reference suggestions against customer purchase history; visual search, makes photographs instantly shoppable and tailors recommendations to the customer's preferences; natural language search, including surfacing results relevant to the customer's location, size and stock availability. Last week, YNAP revealed it has committed to ending the sale of angora across all its platforms.